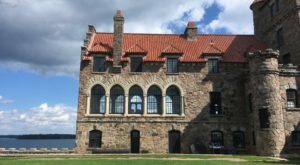 One of the greatest ways to enjoy a bit of nostalgia in New York is to hop on board one of our charming train rides that are still operating throughout various regions of our state. 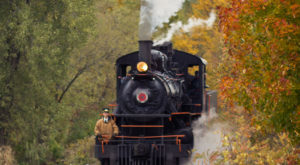 Taking you to secluded corners of our state during the most colorful time of the year, scenic train rides offer a unique way to see the vibrant scenery all without having to do anything except sit back and relax. 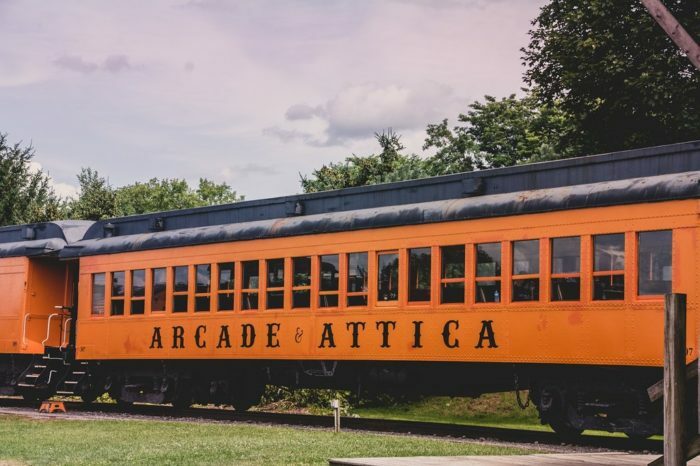 From up in the Adirondack Mountains to out in Western New York, discover these amazing pieces of history and go for a ride on one of our vintage locomotives this year. 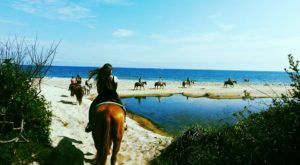 If there's going to be a train ride in that's going to steal your breath away, it almost certainly will be the one that takes you from Thendara to Otter Lake. 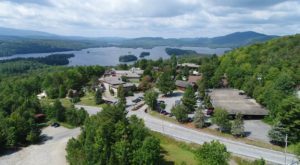 Brought to you by the Adirondack Scenic Railroad, this 1 hour and 1/2-long train ride takes you over the Moose River and through the Adirondack Park to Otter Lake. Leaving from the Thendara Station, this ride will give you a look at our foliage and areas of the park that you've never quite seen before. The vintage train care features a Cafe cart where you can get some light fare, and of course, you can do some shopping at the gift shop in the Thendara train station. 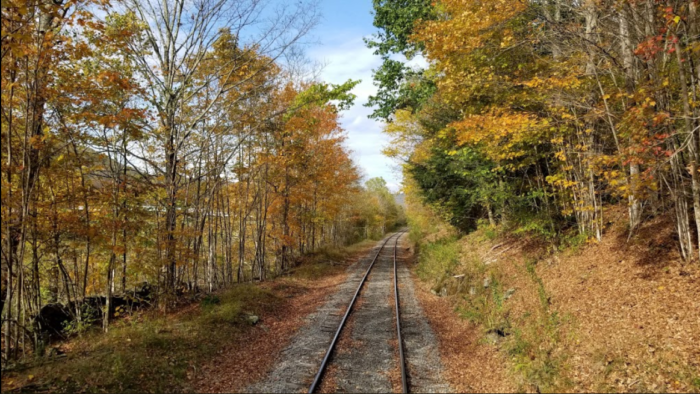 Another amazing railroad to ride, the Catskill Mountain Railroad offers amazing train rides during the fall season. 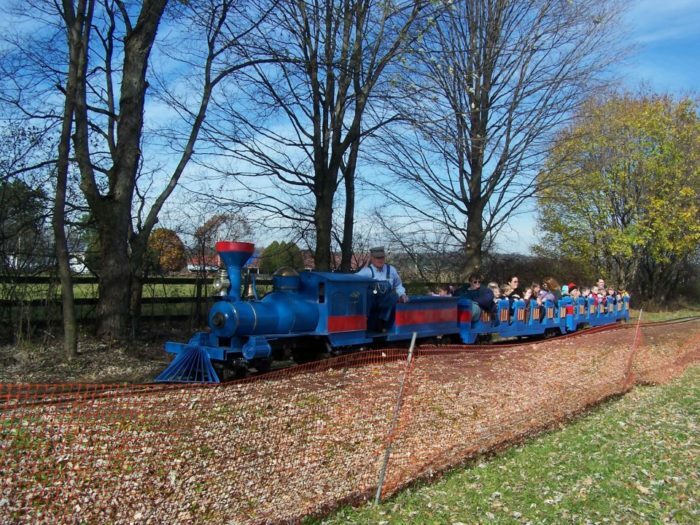 On September 29th and 30th, and on October 6th, 7th, 8th, 13th, and 14th they offer their Fall Flyer train rides at 11 a.m., 1 p.m., and 3 p.m. 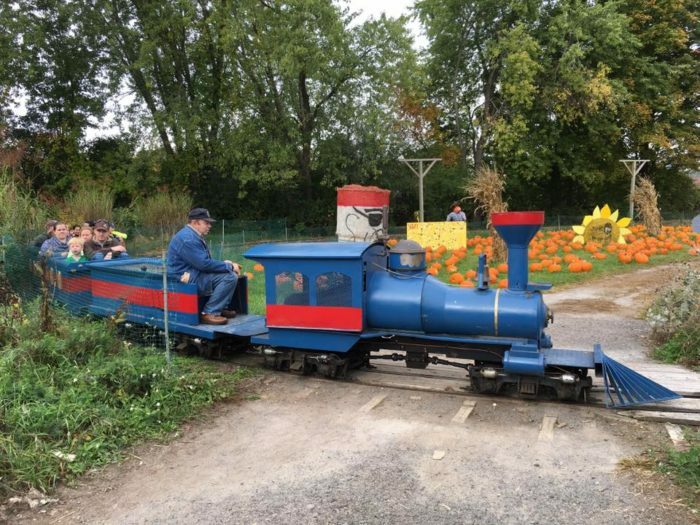 While on October 20th, 22nd, 27th, and 28th at 11 a.m., 1 p.m., and 3 p.m., they have their Pumpkin Express train running. Hop onboard any one of these rides and you'll get to enjoy being in a vintage coach that'll fill you with nostalgia. 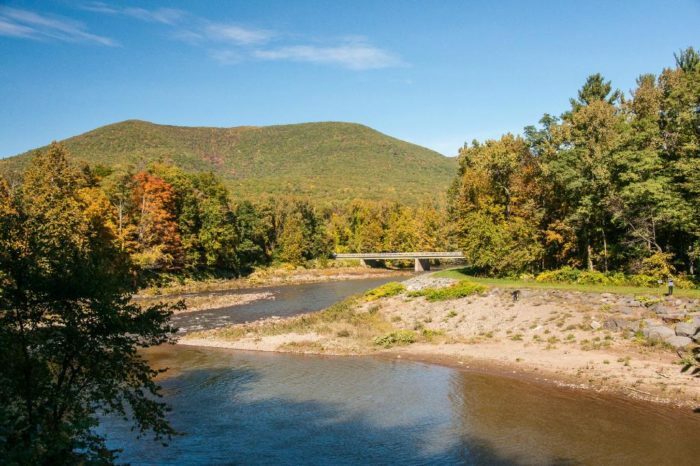 Departing from the Westbrook Station and Kingston Plaza, for the Catskill Mountain Railroad Pumpkin Express rides, you'll actually get to stop and pick your own pumpkin to take home with you! Between the pumpkin picking and the views of our fall foliage, does it get any better than this? 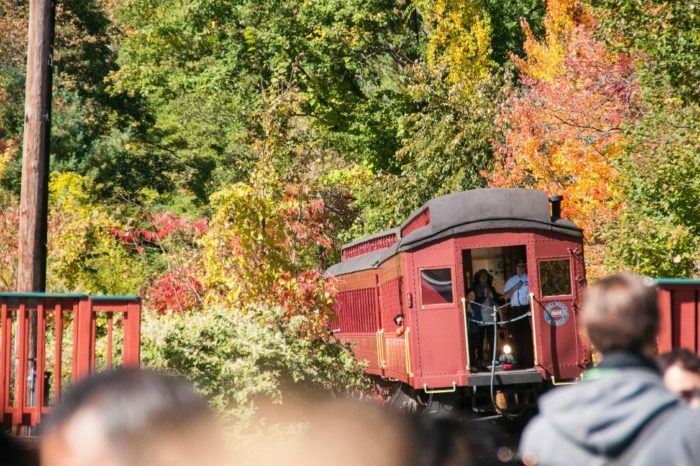 If you don't have the time to enjoy a long train excursion, then visiting Sunnyside Gardens in Saratoga Springs might be the perfect train ride for you. Taking you around a little piece of pumpkin paradise in Upstate New York, to get into the pumpkin patch is free but to ride the train it'll only cost you a few bucks. 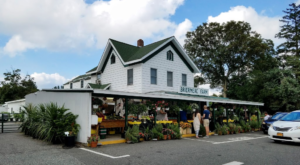 Looping around the pumpkin patch several times, this is one small-town stop you won't want to miss out on making this season. 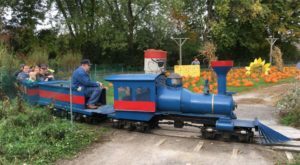 Hosting their fall festival during September and October, during your visit you can enjoy the charming little train ride, go for tractor-pulled hay rides, explore a whimsical pumpkin patch and taste amazing cider donuts that families have been enjoying for over 30 years. 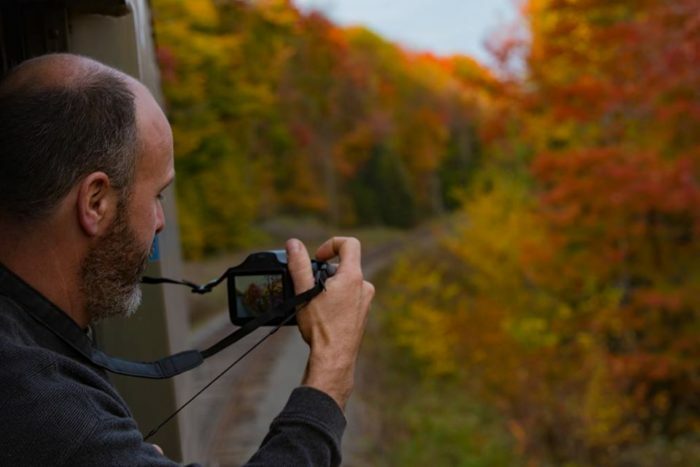 One of our favorite fall foliage train rides to take each year, residents of Western New York get the luxury of having this amazing railroad right in their backyard. Departing from the station in the town of Arcade, sadly it was announced that this year the railroad's Steam Engine #18 would be out of commission until next year - with their Diesel Engine train still operating for rides. 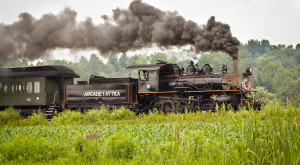 Taking you on an equally stunning excursion (just without the steam) has train rides during the month of September and October, as well as Halloween Haunted Express rides at the end of October. 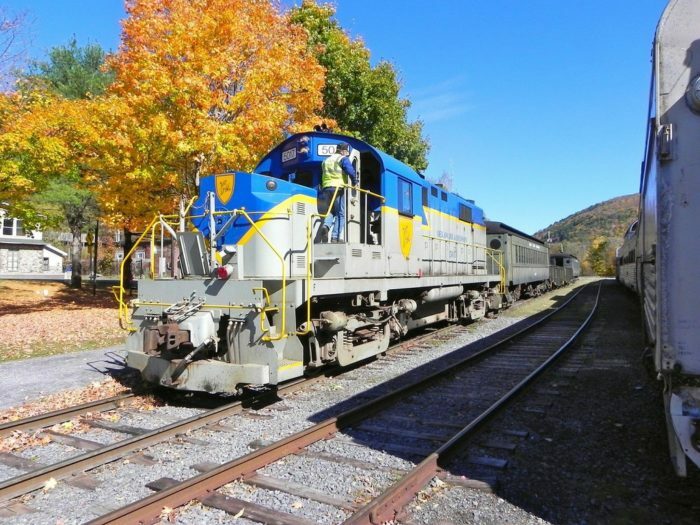 A 2 and 1/2-hour train ride that you'll wish you never had to stop riding, these fall rides bring you through the gorgeous scenery of Wyoming County's countryside. Another train ride that you can enjoy downstate, the Delaware & Ulster Railroad features a variety of rides throughout the year. 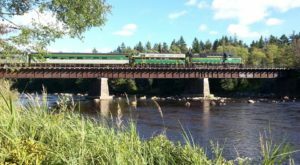 Departing from the town of Arkville, on September 29th and 30th you can ride a vintage steam locomotive during their Steam Weekend, while you can also find Brunch, Lunch, and Dinner Rip Van Winkle Flyer rides running during the months of September and October. If you're interested in taking a fall train ride that includes tasty dining options, then this railroad is the one you'll want to ride this season. 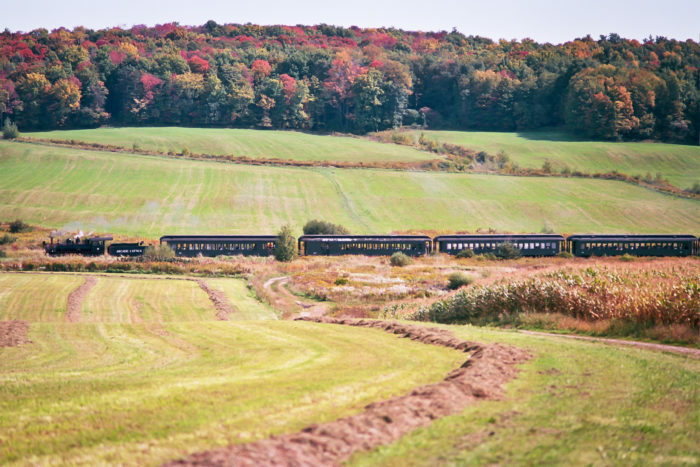 Do you have a favorite train ride to take during the fall season? 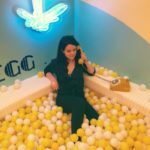 To discover more ways to enjoy this amazing season to the fullest, read about how Fall Is Coming And These Are The Best Places To See The Leaves Changing!